Now truth be told, Strikeforce CQB was a site I was hesitant to visit - my initial impression was that SF CQB was just a warehouse with plywood structures, now at first glance it is a warehouse with a substantial amount of plywood but under the surface it is so much more than that. 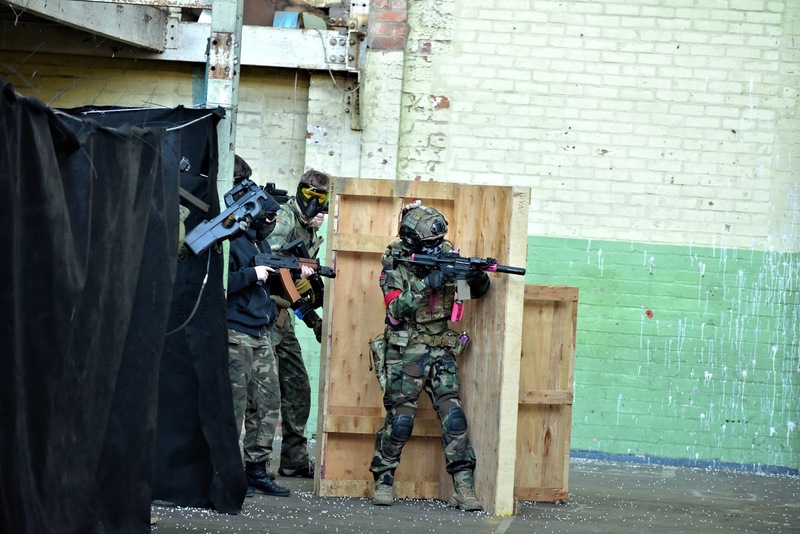 SF CQB is situated in the city of Gloucester, around 90 miles from my hometown in the East Midlands. For me the drive is relatively easy - taking the M42 and A46, it usually takes me around an hour and a half. The site is not openly signposted due to its central location but there are signs on the building that houses the site and the car park is directly outside the site, it is of a good size but does fill up quickly so getting to site early is a good shout to ensure you get a decent car park. Booking on for Strikeforce is done via their website where a £10 deposit is payed with the remaining £20 paid on the day - a total of £30 which is in line with game day fees up and down the country. The SF safezone is easily one of the best I have been in - it has a players lounge with sofas and an area for making tea and coffees. The main body of the safe zone is a long room with a tables running the lengths of the wall with a long in the middle of the room spanning the length, with the good spinny desk chairs! 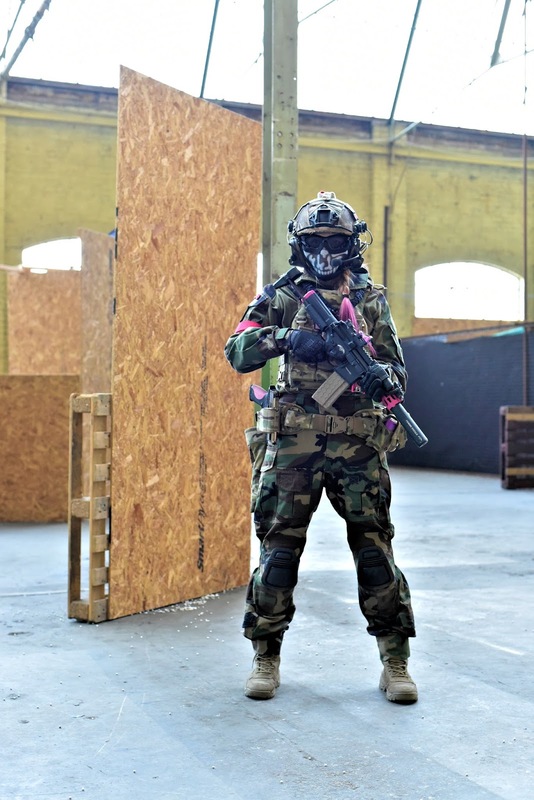 Haha The site has a capacity of 90 players and although the safezone can easily accommodate that amount of players even if it is a little cosy. The only thing that is worth mentioning is that the toilets are not on site, but a short minute walk to the alleyway opposite the site. My favourite aspect of Strikeforce bar the fast paced, close quarters games is easily the staff. I am always well received by team at Strikeforce - they are easy to talk to and have a laugh with. They are also incredibly supportive and encouraging of all their players. One of the site owners, Paul Bibby always delivers an engaging comprehensive safety brief before game on that always sets the tone for the day. 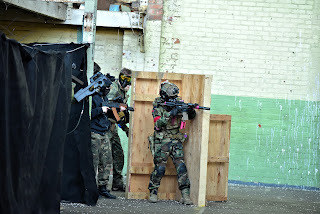 Strikeforce also has their very own on site photographer - Snook Snaps to capture the days antics. The team are a blast to hang out with but it is worth mentioning that the level of professionalism they display is on point. Let's chat about the site itself, Strikeforce is a 52,000 sq ft warehouse space in the centre of Gloucester that has been transformed into one of the UK's biggest purpose built CQB sites, with a U.S kill house style layout it is full of wooden/tarpalin structures - corridors, covers, killhouses and a toilet block at the very back of the site perfect for all those grenade kills. The site is split into two by steel columns and each side is completely different to the other opening up the game play options. 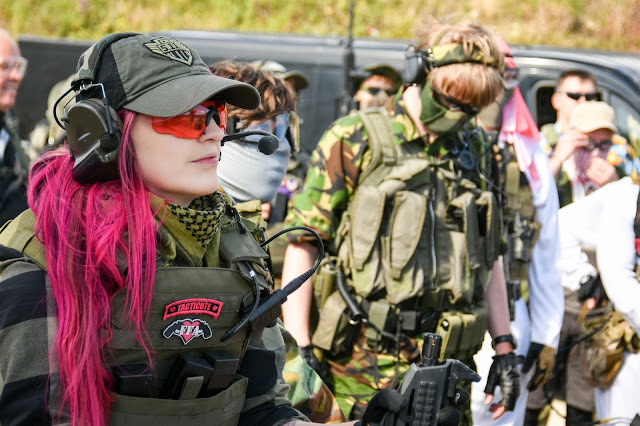 The games Strikeforce put together use their site to the full extent that include objective games such as capture the flag and VIP games. 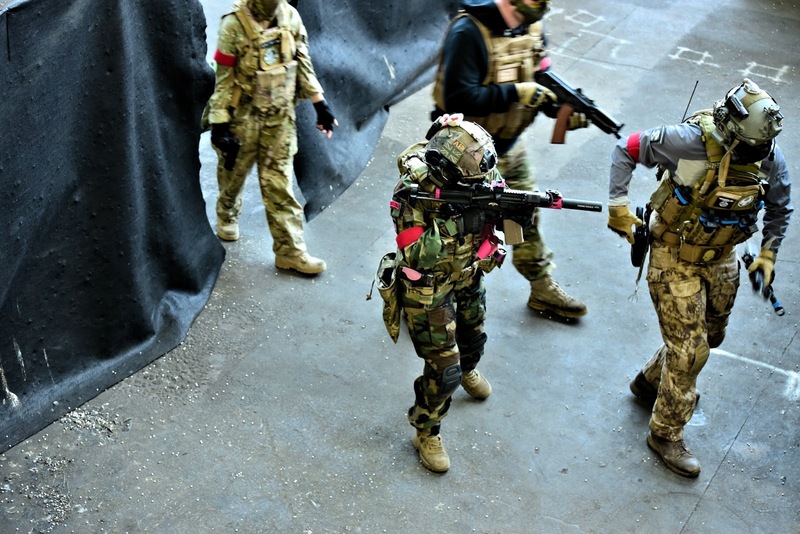 The pushback game is easily my favourite game that is ran - both teams take it in turns to attack and defend both sides of the site and whoever clears the whole site of hostiles in the fastest time wins! The games are well ran and the marshals do not have to interfere too much - you can usually find them at the side of the site keeping a distant eye on things or at the respawns which means they aren't getting in the way of game play - a big thumbs up from me! The other players I have encountered have been a mixed bunch and this is no fault of the site. Majority of the players however I have been chatty, full of banter, easy to get along with and fun to play alongside which is what I focus on. 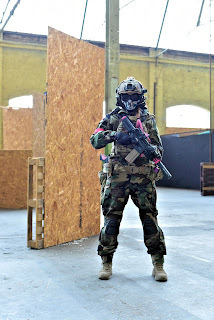 Overall, Strikeforce CQB is one of my favourite CQB sites of those I have played. Although the site is quite a drive from my hometown, the games, staff and other players make the day so enjoyable that I always come back for more. 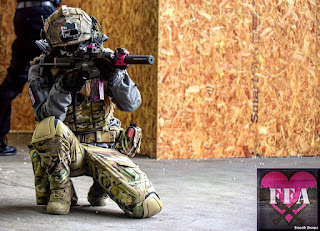 The games are fast paced and hard hitting so if you don't enjoy tight CQB this may not be the site for you but for the adrenaline CQB junkies amongst us, this site will give you your fix for sure! Clifton Road, Gloucester, GL1 5RZ. Photos thanks to Snook Snaps!